Get together with family or friends and enjoy a social game of the world fastest racquet sport at Cardinia Life. Clubs will be contacted by an Aligned Leisure representative on how to register their teams. Click on the image below to view Winter 2019 Season Basketball booklet which has all season information and calendars for all for Basketball at Cardinia Life. To ensure your team is entered for a Round 1 start, please register your team before timely registrations close Sunday April 7. All entries received after this may be subject to a delayed start based on when the registration is received and processed. Please note that all competitions are dependent on a sufficient number of entries and court space. Final team registrations will be accepted no later than Friday May 17. Any team registrations received after this date will be subject to approval from the relevant competition Sports Captain. Go in the draw to win four weeks FREE! ALL teams that enter for the Winter 2018 season will go into the draw to Win 4 Weeks of Game Fees FREE. To be eligible, register your team before timely registrations close on Sunday April 7. Winners will be notified prior to the Round 1 game. Registrations will be payable at time of team registration, whereas Game Fees will be payable each week prior to your team taking the court. No Admittance Fee is charged to enter Cardinia Life Stadium on competition day/nights. Take part in the Basketball Australia official junior development program for 5 to 10 years olds, Aussie Hoops. Aussie Hoops is all about participation and fun. Explore the Aussie Hoops website where you can learn more and register for the program at Cardinia Life. Cardinia Life is home to the Pakenham Netball Association. With programs starting from NetSetGO beginners program, local kids and adults competitions and elite representative netball; you can join in Australia's most popular women's sport here in Cardinia. Registrations for Winter 2019 Season are now open! Please see below information on how to register. From the menu, select Competition, then ‘Winter 2019 (NOT CLUB)’. Click on the image below to view the 2019 Winter Netball Season booklet which includes all information for the upcoming season and calendars for Netball at Cardinia Life. To ensure your team is entered for a Round 1 start, please register your team before timely registrations close Sunday April 7. All entries received after this date may be subject to a delayed start based on when the registration is received and processed. Please note that all competitions are dependent on a sufficient number of entries and court space. Final team registrations will be accepted no later than Friday May 17. Any team registrations received after this date will be subject to approval from the relevant competition Sports Captain. Want to Win 4 Weeks FREE? ALL teams that enter for the Winter 2019 season will go into the draw to Win 4 Weeks of Game Fees FREE. To be eligible, register your team before timely registrations close on Sunday April 7. Winners will be notified prior to the Round 1 game. Please note ALL Netball players must hold a current Netball Victoria Membership ID. NetSetGO is the only introductory program for netball. It has been developed to provide children aged from 5 to 10 years with the best possible introduction to the sport of netball. The program incorporates skill activities, minor games and modified matches in a fun and safe environment. Cardinia Life is home to the Pakenham Floorball Club. Floorball is an innovative new sport that is quickly spreading across the world. Floorball is a fast paced indoor sport that blends the greatest elements of ice hockey with some characteristics also found in soccer and basketball. To ensure your team is entered for a Round 1 start, please register your team before timely registrations close Sunday April 7. All entries received after the this may be subject to a delayed start based on when the registration is received and processed. Please note that all competitions are dependent on a sufficient number of entries and court space. Final team registrations will be accepted no later than Friday May 17. Any team registrations received after this date will be subject to approval from the relevant competition Sports Captain. Pakenham Regional Tennis Centre is Cardinia's premier Tennis facility with 18 plexicushion courts. Join in one of our Hot Shots sessions, Cardio Tennis, a junior or senior competition or a coaching session. For more info or court hire, contact tennis.cardinia@alignedleisure or (03) 5940 8510. Term 4 2018 Sports Clinics at Cardinia Life are now open for registration! At Cardinia Life we offer a range of introductory development programs for children from 1.5 – 10 Years Old. These programs can be great for your child in developing their motor skills, but also assist in developing social skills while learning and playing sport in a fun and enjoyable environment. Please take a look at our programs below. Aussie Hoops, Basketball Australia’s official introductory program for 5-10 year olds and their families. Vicinity Centres Aussie Hoops is a national program which provides an environment where children of all abilities can achieve on the court and reap the rewards of skill development, enhanced self-esteem, social co-operation and grassroots sports participation. Vicinity Centres Aussie Hoops is all about participation and fun. You can find more information and register via the website www.aussiehoops.com.au and search via Pakenham postcode 3810. NetSetGO is Netball Australia’s only junior entry netball program. It has been developed to provide children from 5 to 10 years with the best possible learning and playing experience to develop a positive introduction to netball, ensuring enjoyment and continued participation. NetSetGO incorporates skill activities, minor games, music, dance and modified matches in a fun and safe environment. The weekly program is coordinated by accredited coaches to ensure a quality experience for all participants. You can find more information and register via the website www.netsetgo.asn.au and search via the Pakenham postcode 3810. 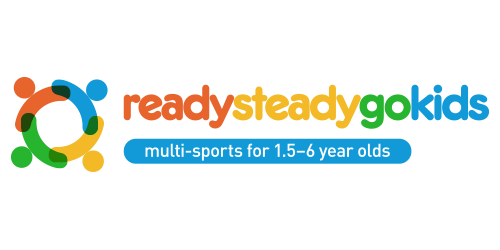 Ready Steady Go Kids is Australia’s leading multi-sport program for children aged 1.5-6 years. We currently run classes at over 210 locations across Australia, and many more internationally. Our physio-designed program teaches children the fundamentals of 10 different sports and develops essential motor skills in a fun, non-competitive environment. You can find more information and register via the website www.readysteadygokids.com.au and search via the Pakenham postcode 3810. Cardinia Leisure is pleased to announce that over the summer season we will be running Football Federation Victoria’s Summer Sevens program. Summer Sevens is a social format of the game, involving 7 players on each team on a modified, smaller pitch. With a large emphasis on fun, fitness and social benefits that only a team sport can offer, it is suitable for people of all ages and skill levels. The Senior Men’s and Mixed competitions will be held on a Wednesday Night starting on the 17th of October and the Junior Competitions will be held on Friday afternoon/evenings beginning on the 19th of October. Team Registration = $140 (non-refundable & payable upon your online registration). Location = IYU Recreation Reserve, Henry Rd, Pakenham. Starting on Wednesday October 10 will be our First ever season of AFL 9’s. Both a Men’s and Mixed competitions will be available over the spring season, which will be a 9 week season with 1 final. All teams will play 10 games across the season which will finish with the last game on the 12th of December. AFL 9’s is the AFL’s Social version of the game. It’s a fast, free-flowing game that involves 9 players on each team playing on a smaller field. Best of All, it’s ‘touch football’ with no tackling, making it suitable for people of any age or skill level. Importantly, AFL 9s is easy to play, not too physically demanding and provides an environment where fun, enjoyment and safety are priority. AFL 9's enables people of all ages and abilities levels to participate in male, female or mixed competition that fit around their busy lives and provide a social fitness outlet. Cost: $990 total paid at registration. Includes $90 Team Registration fee & 9 x $90 game fees. Location: IYU Recreational Reserve, Henry Rd, Pakenham. To register your team for the Cardinia competition please Click Here and follow the links to the Cardinia-Pakenham page.